The New York Yankees are widely regarded as the most iconic franchise in sports and on April 16th versus the Chicago Cubs they will honor one of the world's most iconic men- Nelson Mandela. Mandela known for bringing peace, equality and democracy to South Africa will be honored with a plaque in his honor at the historical monument park which is located in center field at Yankee Stadium. Monument park for those who don't know is an area where the Yankees have commemorative plaques and artifacts honoring the great ballplayers and people who contributed to the success of the Yankees. So people like Babe Ruth, Lou Gehrig, Yogi Berra and Mickey Mantle who helped the Yankees achieve success on the field will have their plaques sit next to a man who is regarded by many as one of the greatest men in the history of the world in Mandela. 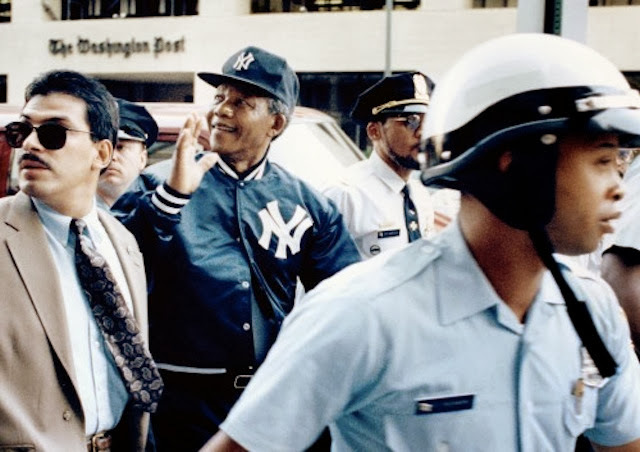 Now you might be asking what connection does Mandela have to the Bronx based baseball franchise and why is he getting a plaque? 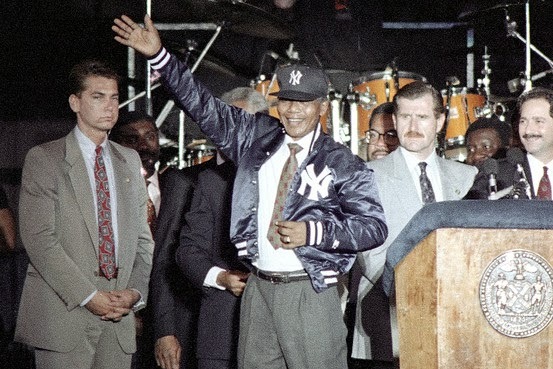 Well on June 21st 1990 he payed a visit to Yankee Stadium where he addressed the crowd while wearing Yankee attire. He went on to boldly proclaim “You know who I am. I am a Yankee”. Hal Steinbrenner says that Mandela's visit was a transcendent moment in the history of the original Yankee Stadium. Mandela's legacy will now live on in one of the most iconic franchises home ballpark.